What You Should Know If You’re Looking to Trade Currencies? The Forex market is one rewarding avenue to invest your money in. And if you want to be a Forex trader, you don’t need to work for a bank in one of the world’s financial centers. These days, investors can trade currencies in the comforts of their own offices or homes, thanks to the Internet. Since the advent of the Internet, Forex trading has become more reachable for anyone who wants to invest their money regardless of whether they have a few hundreds or thousands to invest. Now, with all the incessant buzz going around Forex trading, one could easily get confused and overwhelmed with the vast amount of information that can be found online. How does it really work? 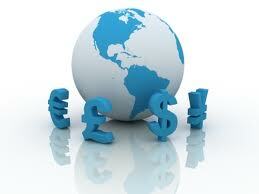 Forex or Foreign exchange basically deals in currencies of different countries. A Forex trader exchanges one currency to another for the purpose of making profits. Forex trading is speculative nature. Traders would sell or buy a currency based from different factors that indicate the competitiveness of a currency over another. In a currency trade, there are always two currencies involved and these currencies are always expressed in 3 letters. For example, the US dollar is indicated as USD, Euro is EUR, Japanese Yen is JPY and Australian dollar is AUD. A lot of investors start out trading in the EUR/USD pair because this is the most liquid pair compared with other pairs in the market. Other most traded pairs include AUD/USD, USD/JPY, GBP/USD, and EUR/JPY. In general, there are 18 pairs that are conventionally quotes by the Forex market makers as a result of the overall liquidity. The Forex market may be a lucrative market. However it is also very risky. Currency rates rise and fall steeply and any slight fluctuation can either make or break a trade. In fact, some losses are inevitable when trading Forex. No wonder it requires a considerable amount of patience and diligence from traders. Having a detailed trading plan is the key to profiting from the Forex market in the long term. This is important considering the traders’ tendency to make trading decisions based on emotion like greed and fear which likely lead to huge losses in the end. A complete trading plan consists of a few simple rules which the trader will check before entering a trade. It also has the following: entry, stop loss, target and a risk to reward ratio among several other things. If you’ve decided to leap into Forex trading, it’s important to have a realistic goal whether you’re trading for long term or short term. This will help control emotions and keep them at bay when the market conditions get tough. Australia Forex Brokers: What You Should Know If You’re Looking to Trade Currencies?